Material- Silver with Alloys, 22kt Gold Patra(non-tarnish). 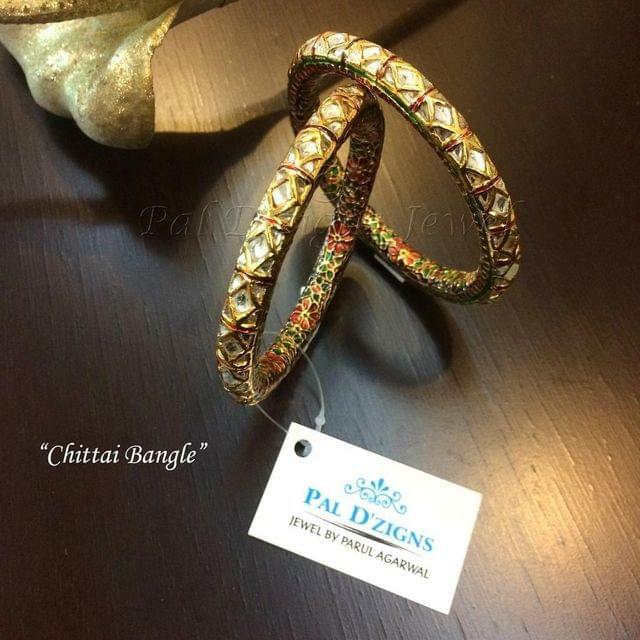 Red and green Enamelling on Design and Beautiful colours at Back side..
Stones- Imitation Kundan(very real look). 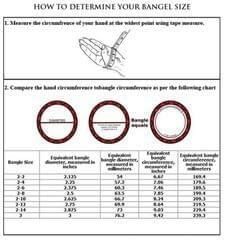 measurements : 8mm wide , 8 mm height. 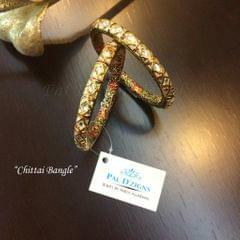 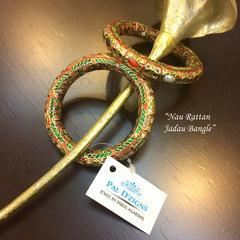 Nau Rattan Jadau Bangle 2-6"